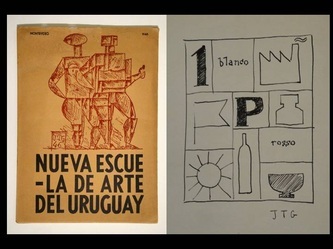 _ NUEVA ESCUELA DE ARTE DEL URUGUAY – The New Art School of Uruguay - Nouvelle école d'art de l'Uruguay. Painting and Constructive Art. Contribution to the Art of the Three Americas. 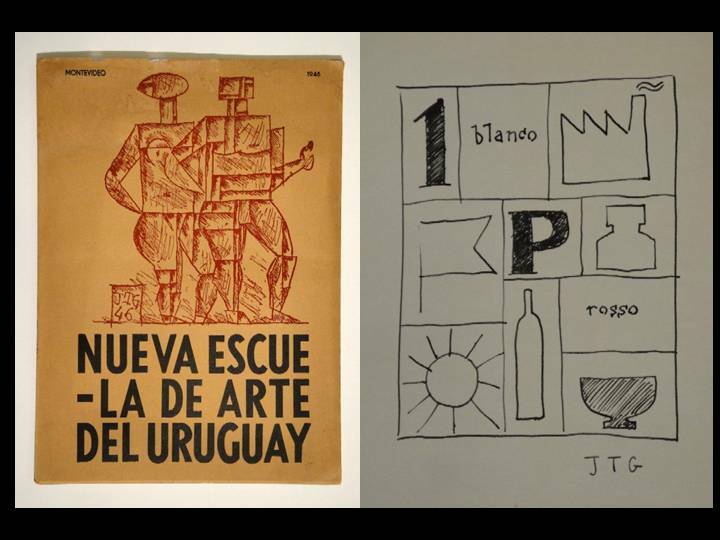 Montevideo, (Ediciones de la Asociación de Arte Contructivo). 1946. 4º (33,4 : 24,4 cm). 2 w.Bl., 2 Bl., 16 S. mit faks. handschr. Text mit Zeichnungen von Joaquin Torres-Garcia u. 44 S. mit zahlr. (1 farb.) Abb. Orig.-Kart. u. Orig.-Umschlag mit Schrift u. Illustration von J. Torres-Garcia.